We are so excited to bring this incredible group of musicians together for a full day of live music. Many of our guests will be reuniting on stage and we have word that there will be groups joining each other’s sets. While they play together for the love of making music, we get to witness the magic! 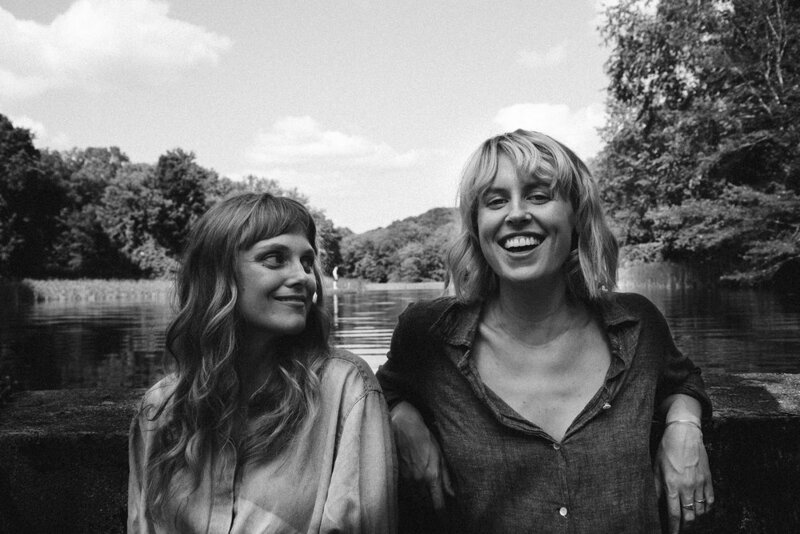 (New York, NY) "Prepare to lose your soul," says L.A. Record of siblings Abigail and Lily Chapin, whose seventh recording, Ferry Boat, was issued by Loantaka Records in 2018. Making music that The New York Times praises as "tantalizingly close to beauty," The Chapin Sisters carry on a proud family musical legacy: Father Tom Chapin is a Grammy-winning singer/songwriter, legendary late uncle Harry Chapin was a musical artist and activist best known for his 1974 #1 hit "Cat's in the Cradle," and grandfather Jim Chapin was an esteemed jazz drummer and author of seminal drum instructional books. The two have been singing and harmonizing from their youth in, first, Brooklyn, NYand later the Hudson River Valley, heard on their father's children's albums (which have won him three Grammys) and other recordings as well as at festivals, benefits and tribute shows. Abigail and Lily had relocated to Los Angeles after graduating from college to pursue non-musical creative interests when they got an opportunity to record as a trio with their half-sister Jessica Craven (daughter of film director Wes Craven) in the home studio of singer Michael Fitzpatrick (Fitz and The Tantrums). The resulting seven-song, self-titled 2005 debut EP by The Chapin Sisters enjoyed strong support from the taste-making L.A. indie radio station KCRW as a demo, and spawned a viral underground hit with their reinterpretation of the Britney Spears hit "Toxic." The three began performing and put out a debut album, Lake Bottom LP, in 2008. Since Jessica bowed out of the group following the birth of her first child, Abigail and Lily have carried on with another EP (Oh, Hear the Wind Blow), two albums (Two and Today's Not Yesterday) and a warmly-received, gender-shifting album salute to another set of harmony-singing siblings, A Date With the The Everly Brothers. They've done two tours as background singers and opening act for She & Him (Zooey Deschanel and M. Ward) in addition to their own tours and shows. Mamma Tongue performs an exciting mosaic of African and American music by composer John McDowell as well as traditional West African music. The combination of African music and rhythms with contemporary American music is passionate and stirring. Mamma Tongue has appeared at the Montreal Jazz Festival, Ottawa Jazz Festival, Lincoln Center, the United Nations, and Festivals throughout North America and Europe. John McDowell also composed the soundtrack to the award winning documentary Born into Brothels, winner of Best Musical Score at the Bend Film Festival. John McDowell will be joined by Jose Acevedo (percussion and vocals), and Green Meadow Alumni Claude Gilbert (cello, percussion, vocals) and Kaylah Bell (guitar, vocals). Hurry Slowly, featuring Michael Miller and Melissa Rose Ooka is a swinging blend of Blues, Rockabilly and Americana. They create an evening of atmospheric music weaving through songs of Jr. Parker, Billie Holiday, Django Reinhardt, Pink Floyd and original compositions. Their tight harmonies and subtle guitar make them a favorite in concerts, clubs and festivals. Other musical acts include the Showed Up String Band, a local favorite, Eric Silber and Sally Willig, the Rudolf Steiner School Junior Chorus and the Memorial School chorus.